Black Hawk Lock & Key specializes in door installation for our Pittsford and Rochester, NY, customers. Securing your home or business is paramount to its security. Your exterior doors provide an important line of defense against intruders. From door frame installation to new doors, our door installation services are designed to help you protect your residential or commercial property. Consult with the experts at Black Hawk Lock & Key to upgrade your existing exterior doors with security doors that meet today’s standards for security excellence. 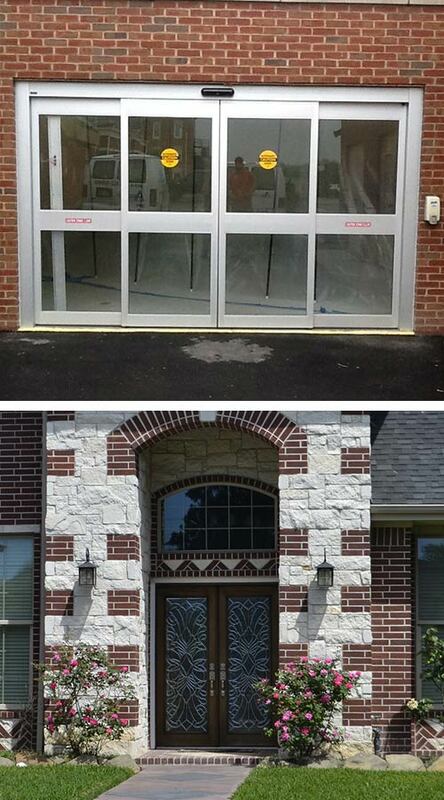 We can install automatic doors in your commercial property as well as decorate glass and wood doors in your home. The installers and locksmiths at Black Hawk Lock & Key Door have years of experience installing all types of doors for commercial and residential properties. If you’re looking for an overhead door company, need a precise garage door, or need high-security doors, we can fulfill all of your door installation needs. We serve Pittsford and Rochester, NY, and surrounding areas with a full spectrum of locksmith and security solutions. We feature competitive pricing and are always happy to consult with our clients about choosing the right products and materials for their home or business security needs. Of course, there are many types of doors to choose from today. You can install a high-security metal door that’s designed to look like a vintage wood door. There are ultra-modern door styles and decorative reproductions that are sure to complement any type of home or commercial property style. We can help you source the types of doors you’re looking for. When you contact with Black Hawk Lock & Key Door, we can help you assess your door frame and door needs in order to best enhance your residential or commercial property security needs. Our professional installers have experience with door frame installation and security door installation for both older and brand-new constructions. We can provide flush mounting or frame mounting in accordance with your preference. While frame mounting is more labor intensive and, therefore, more expensive, it does provide a higher degree of security. We can answer all of your questions and help you make the best decisions for your security needs. Black Hawk Lock & Key Door carefully screens each of our employees to ensure they meet our high standards. We take your security seriously and to provide you with best-quality service, we hire only the best service technicians to deliver our locksmith and security solutions. If you live in or around Rochester or Pittsford, NY, and need experience locksmiths, Black Hawk Lock & Key Door has the service professionals you need. If you’re ready to upgrade your wood door to a metal door or want to install a high-security door and frame, be sure to consult with us about your home or business’s security. We feature home and commercial locksmith and door installation services that are affordable, reliable, and delivered by our industry experts. Contact us for all of your exterior and interior door installation needs.